Margo Cramer, Eleanor Layman and Marylou McDonald have done another fabulous job reproducing the patterns for the Maryland Historical Society's Captain Aust Quilt Top. 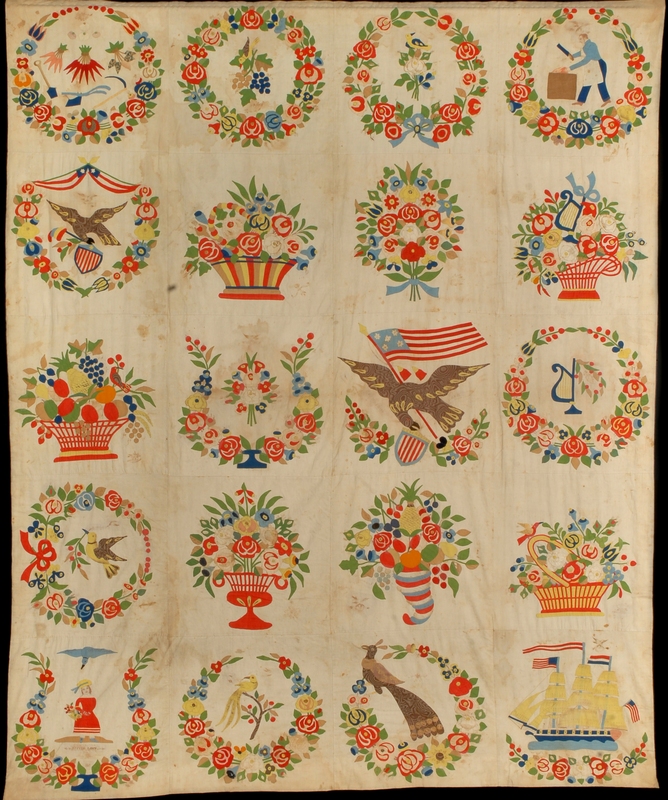 The patterns were done for the MdHS and all proceeds go to the museum's textile collection. The pattern set includes all 20 blocks as well as a CD-ROM of pictures for each block and a color code chart. BAS will be selling the patterns at our monthly meetings only to those who are attending. All others must purchase them from the MdHS using the form below, or by calling the MdHS shop at 410-685-3750 Ext. 363, Monday- Friday between 10 and 5 pm, EST. The cost of the pattern set is $50 plus Maryland State tax. Shipping and handling will be charged for those ordering through the Museum. BAS will not be involved in the mailing of these patterns.